CRUZE LTZ, ONLY 92K MILES! HEATED LEATHER, MOON, BLUETOOTH! CHECK OUT THE VIDEO! 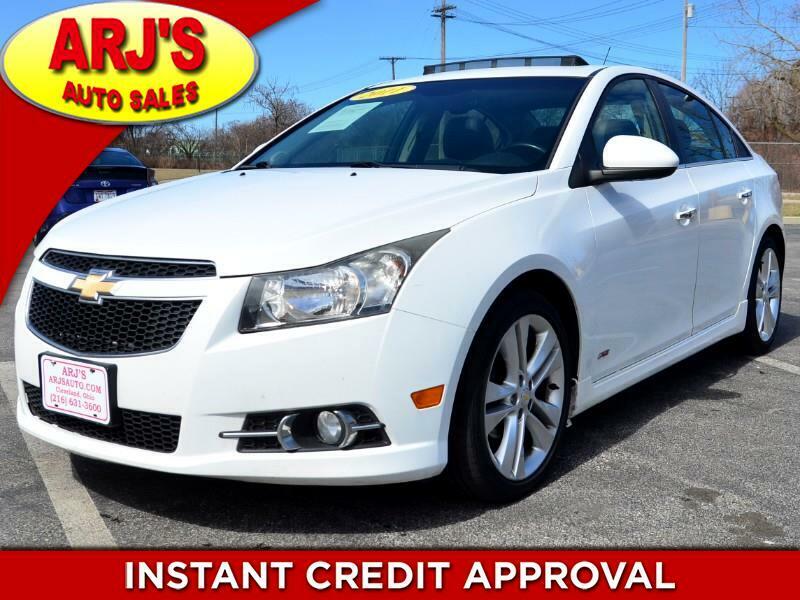 ARJ'S AUTO SALES IS PROUD TO PRESENT THIS SHARP 2011 CHEVY CRUZE LTZ WITH ONLY 92K ORIGINAL MILES! A WHITE METALLIC EXTERIOR OPENS TO A WELL EQUIPPED CHARCOAL LEATHER INTERIOR. SET UP WITH A MOONROOF, HEATED LEATHER, POWER WINDOWS, LOCKS AND MIRRORS, BLUETOOTH, CRUISE, CD STEREO, KEYLESS ENTRY, STEREO CONTROLS ON THE STEERING WHEEL AND A/C. ALLOY WHEELS HAVE TIRES WITH GOOD TREAD ON THEM AND A PUNCHY BUT EFFICIENT 1.4L 4CYL ARE READY FOR YOU. WE WELCOME ALL OUT-OF-STATE BUYERS AND TRADE-INS. AIRPORT, BUS AND TRAIN STATION PICK-UP IS NO PROBLEM!!! FOR MORE INFORMATION AND TO SEE THIS CHEVY, CALL 216-631-3600. Message: Thought you might be interested in this 2011 Chevrolet Cruze.